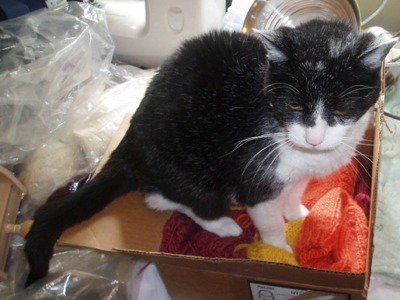 Earlier this week we found out that Zasu, at age 20, was in kidney failure. Wes had a vet appointment for this morning to learn how to medicate her and give her fluids. When he went to collect her he found she had passed away last night under my desk. She was the most affectionate cat I have ever heard of. She would wrap her paws around your neck and nuzzle your face. She would do that with any stranger that would pick her up.